Range-topping version kicks off at $48,490. 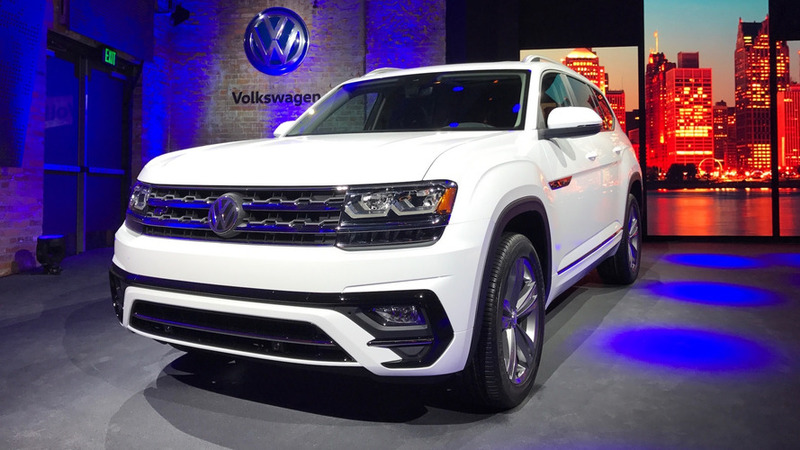 At the Detroit Auto Show back in January, Volkswagen announced the 2018 Atlas would begin from somewhere in the region of $30,000, and now VoA has confirmed the seven-seat SUV’s starting price. 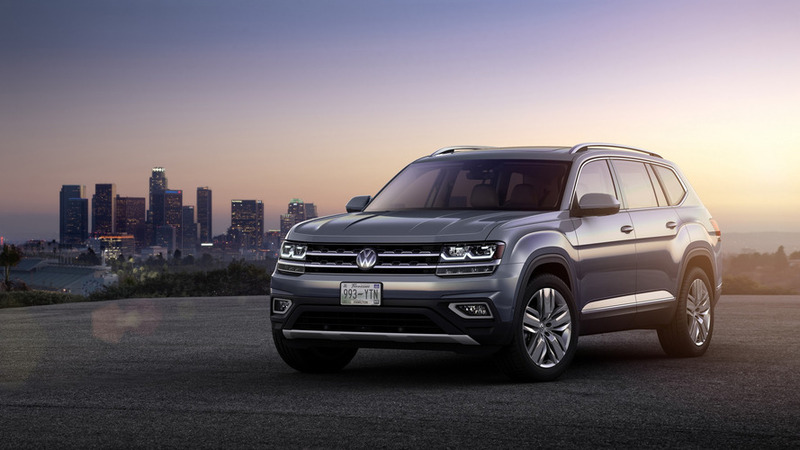 $30,500 MSRP will get you the entry-level Atlas S with the 2.0-liter TSI engine and a front-wheel-drive layout, but keep in mind it won’t be available right away. Even the base model has a generous array of standard equipment, including LED headlights with LED daytime running lights, rearview camera, stainless steel roof rails, and 18-inch alloy wheels. On the inside, buyers are going to be rewarded with a 6.5-inch infotainment system packing Android Auto, Apple CarPlay, and MirrorLink integration, along with Bluetooth and USB connectivity. 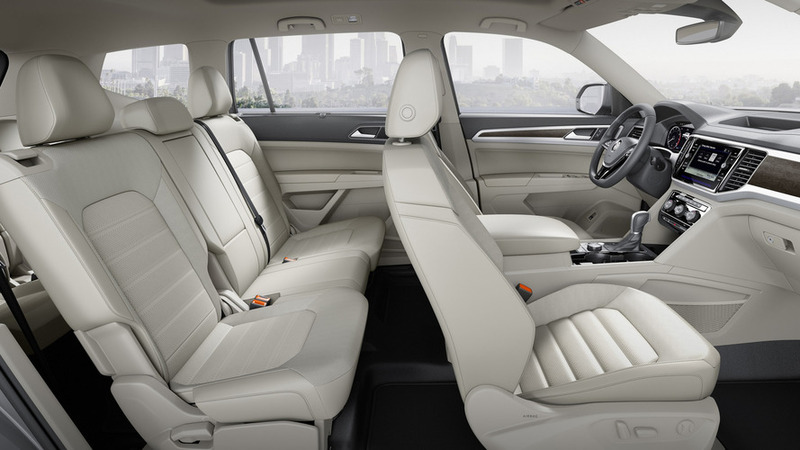 It also comes with cruise control and an audio system with six speakers. If you would rather fork out more money for a beefier engine, the 3.6-liter V6 for the base version begins at $31,900 for the FWD model and from $33,700 with the 4Motion AWD setup. Unlike the four-cylinder model, the V6 models are going to be available right away. Up next is the limited-run V6-only Atlas S Launch from $33,500 with FWD and from $35,300 with AWD. It builds upon the S version and adds a panoramic sunroof, eight-inch touchscreen, footwell lighting, garage door opener, and SiriusXM satellite radio. Moving up the range, the Atlas SE costs $33,590 with the smaller engine, $34,990 with the V6 FWD, and $36,790 in the V6 AWD specification. It brings along additional niceties such as automatic headlights, heated mirrors, automatic wipers, keyless access (with push button start), and a leather-wrapped steering wheel. Moreover, this version has fog lights, heated front seats, 10-way power driver seat, rear sunshades, eight-inch touchscreen, three extra USB ports, eight speakers, SiriusXM, and Blind Spot Monitor with Traffic Alert. Next is the Atlas SE with Technology beginning from $35,690. 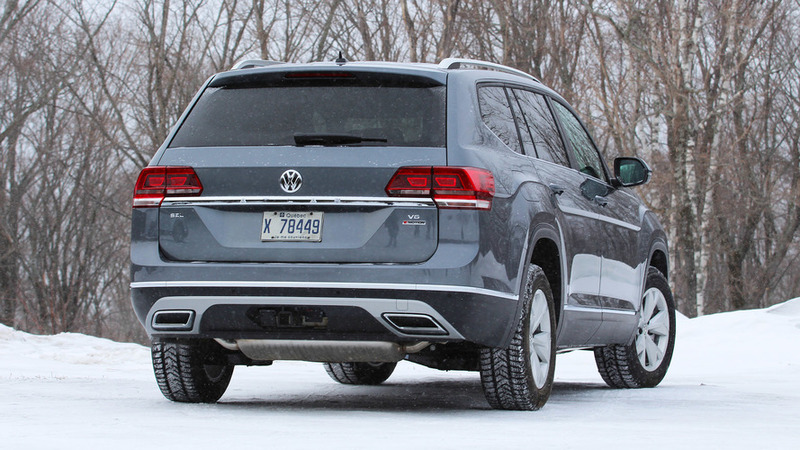 Should you want the V6, that’ll be $37,090 or $38,890 once you tick on the AWD box. It features all of the SE’s goodies, plus Adaptive Cruise Control, Lane Departure Warning, Forward Collision Warning and Autonomous Emergency Braking with Pedestrian Monitoring (Front Assist), remote start, power liftgate, three-zone climate control, and an auto-dimming rearview mirror. The higher-end Atlas SEL will set you back at least $39,160, but you can upgrade to the V6 FWD model from $40,890 or the V6 AWD beginning from $42,690. It starts off as an SE with Technology and brings a panoramic sunroof, Easy Open liftgate, 8-way passenger seat, memory driver’s seat and mirrors, power outlet for the second row, front & rear Park Distance Control, plus a tow hitch on the V6 models. 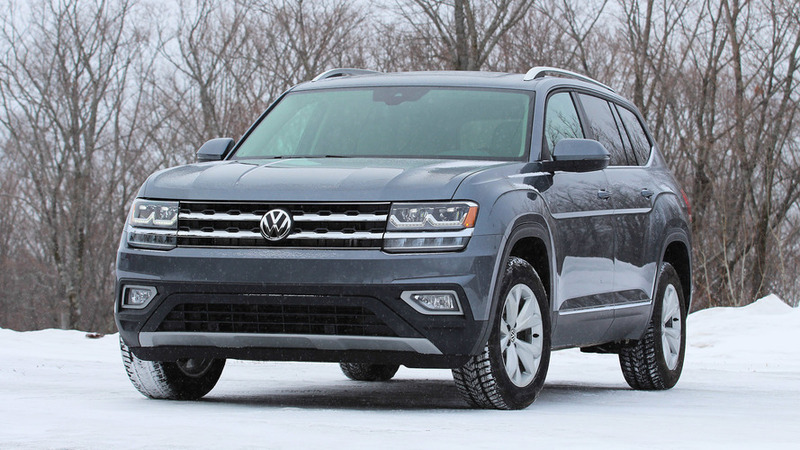 The flagship VW Atlas SEL Premium can only be had with AWD and the V6 from $48,490. Buyers will be able to enjoy the 12.3-inch digital instrument cluster, 20-inch alloys, LED taillights, power-folding mirrors, puddle lights, leather upholstery, ventilated front seats, heated rear seats, navigation, heated steering wheel, automatic high beam, ambient lighting, 12-speaker Fender sound system, Area View camera, and a parking steering assistant. There are also some optional packages available, such as the $625 captain’s chairs replacing the second-row bench to turn the Atlas into a six seater. It will be available later on only on the SE, SE with Technology, SEL and SEL Premium models. There’s also the sporty R-Line trim (late availability) introduced in Detroit and set to cost $1,960 on the SE and SEL versions. If you’re a fan of black wheels, a 20-inch set will cost $995 on the SEL trim and $235 on the SEL Premium. As a reminder, the turbocharged 2.0-liter TSI is rated at 235 horsepower and 258 lb-ft of torque whereas the naturally aspirated 3.6-liter V6 churns 276 hp and 266 lb-ft. Both are linked to an eight-speed automatic gearbox, but only the six-cylinder can be blessed with AWD. 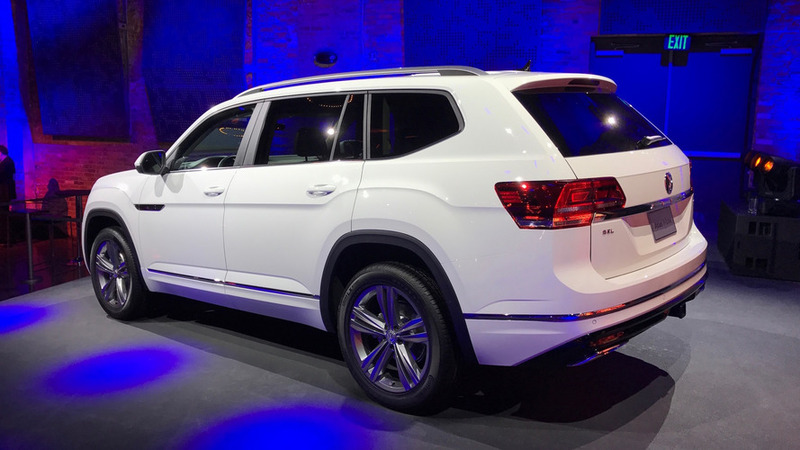 Considering the $30,500 starting price, the 2018 Atlas is about $19,000 cheaper than the more upmarket Touareg. 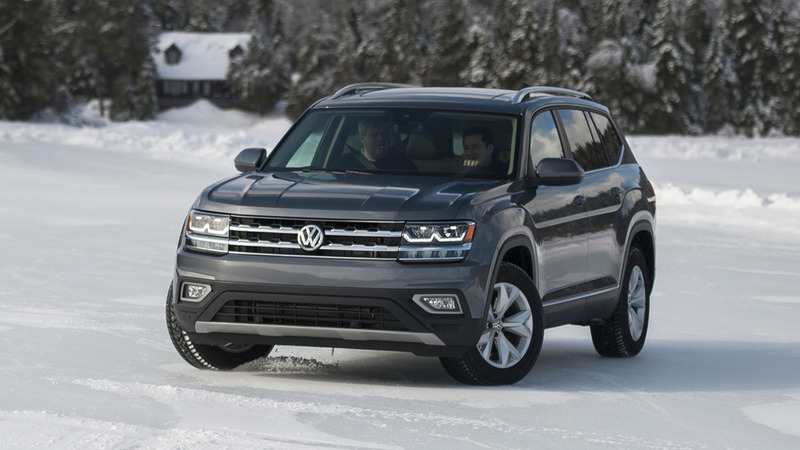 Looking at the three most important rivals according to VW, the Ford Explorer begins from $31,660, the Toyota Highlander from $30,630, and the Honda Pilot from $30,595. 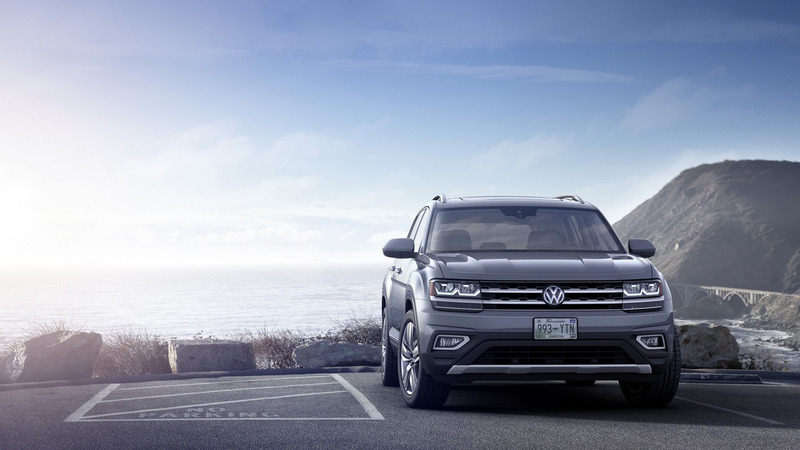 The MQB-based VW Atlas has been in production since late last year at the Chattanooga factory and will begin to reach dealerships next month.